Which is the Fake one? Home » Crazy Cases » Extreem Cases » Which is the Fake one? How about a little quiz here. among these three people on this pictures there's one fake girls. 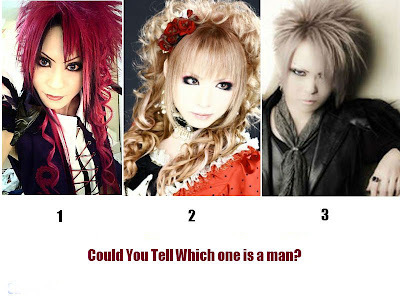 could you find out which one is the real man on this pictures? Description: Which is the Fake one? Rating: 4.5 Reviewer: Crazy World - ItemReviewed: Which is the Fake one? No. 1 is a man, but I would not be supprised if all three are men.